The president on Monday night presided over a meeting of the national caucus of the All Progressives Congress (APC). At the meeting were Vice-President Yemi Osinbajo, the APC national Chairman, John Oyegun and National Leader, Bola Tinubu. Others at the meeting were governors of Plateau, Adamawa, Bauchi, Sokoto, Niger, Kogi, Jigawa, Benue, Ondo, Oyo, Ogun, Kebbi, Nasarawa as well as deputy governors of Kwara and Yobe states. Cabinet ministers and presidential aides were also at the meeting. It is not clear what was the agenda of the meeting, but it comes at a period that many Nigerians are waiting to hear the president's decision on whether he will be seeking a second term. President Buhari has not made an official statement about his political ambition come 2019, but political analysts have predicted that he would run. He had earlier in the day met privately with Tinubu. ALSO READ: BABACHIR LAWAL: AFTER THE SACK, WHAT NEXT? 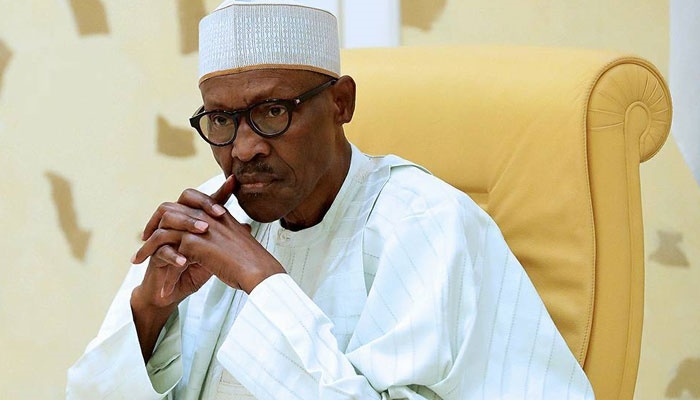 After the meeting, the national leader of the APC said he has no rift with the President and denied allegations that a cabal existed in the Buhari administration. "I have confidence in the leadership of the President," he was quoted as saying. He had earlier in the day sacked the suspended Secretary to the Government of the Federation, Mr Babachir Lawal, a decision that the APC had commended.